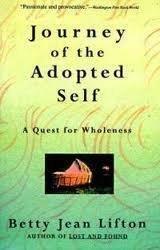  An useful though biased and histrionic account of the adopted person's struggle to form ``an authentic sense of self.'' Lifton (Lost and Found, 1979; Twice Born, 1975) continues to explore the struggles and journeys of adopted people. When she was seven, Lifton was informed by her mother that she was adopted. ``I was not to share it with anyone--not even my father. It would break his heart if he suspected I knew.'' Lifton projects her own sense of trauma onto all adoptees. Anecdotes and statistics supplement her thesis that all adoptees are emotionally scarred, doomed to a lifelong ``quest for wholeness.'' Even when discussing international and biracial adoptions, in which everything is out in the open, Lifton focuses only on the negative, despite the great number of successful adoptions that have been documented. She dismisses any adoptee, birth mother, or adoptive parent who disputes her thesis as being ``in denial,'' arguing that an adoptee can best be healed through a reunion with his or her birth parents. But too many of the reunions recounted here weaken her thesis that ``the very idea of search is empowering, no matter what the outcome.'' For instance, in a chapter entitled ``The Mark of Oedipus,'' Lifton reports on some reunions that lapsed into incestuous relationships. Lifton too glibly portrays adoptive parents as insecure, overprotective, traumatized by their infertility, and threatened by their child's search for birth parents. Her opposition to adoptions cloaked in secrecy is valid (though she's hardly alone in that view). But her ascribing of all an adoptee's insecurities and emotional difficulties to the fact of having been adopted--rather than to the human condition--is simple reductionism. Lifton provides valuable resources for adoptees, birth parents, and adoptive parents. Ultimately, though, the book is imbalanced and unconvincing, despite its passion.